Studio 2 22-inch Eagle update with exclusive pics! 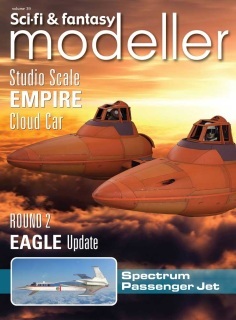 Studio scale Empire Cloud Car! New Captain Scarlet Spectrum Passenger Jet kit build! Studio scale UFO SKY 1 kit! U.N.C.L.E. Piranha built and customised! 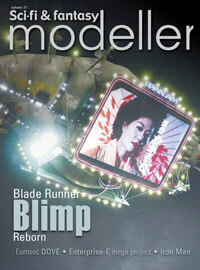 Sci-fi & fantasy modeller Volume 38. SHADO Mobile conversion - the conclusion! Moebius Galactica 1/72 Mk VII Viper and Cylon Raider! The Paragrafix story - in-depth interview! 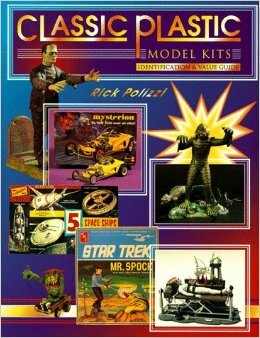 UFO TV series FX miniatures found and photographed - awesome, exclusive photo-special! UFO SHADO Mobile studio scale build part III! New BSG Moebius Colonial One preview build! 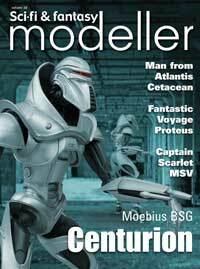 New BSG Moebius 1/72 Viper MkII preview build! Classic Chris Foss ship translated into 3 dimensions - amazing scratchbuild! Star Trek Deep Space 9 - Round 2 trio preview build! 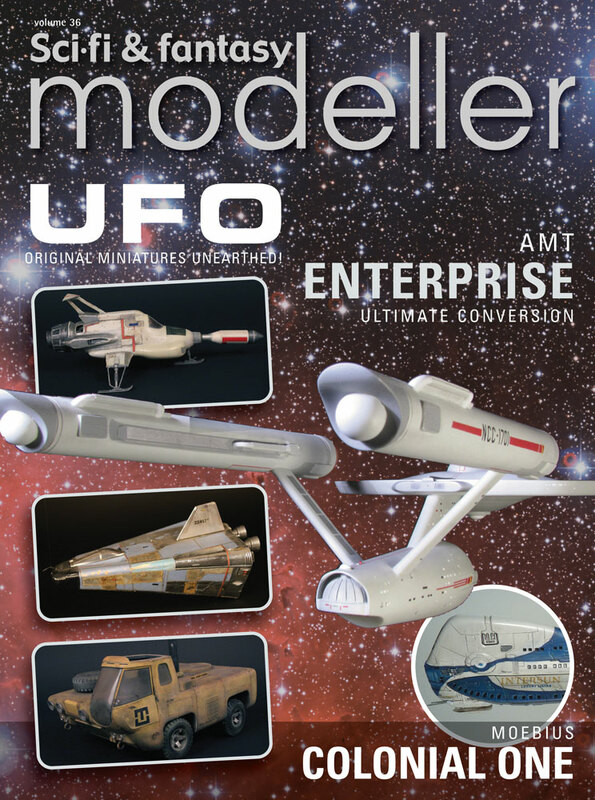 AMT 18-inch Enterprise conversion project! Sci-fi & fantasy Modeller Volume 34. 98 Pages. Articles include, Moebius Munsters House, Bela Lugosi Dracula, Discovery's Last Flight. 98 Pages. 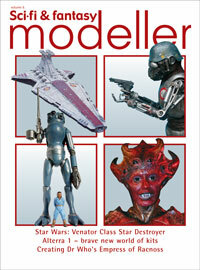 Articles include, UNCL Captain Scarlet's MSV, Planet X The Monster, 1/48th Proteus Submarine from Fantastic Voyage. 98 Pages. Articles Include, Moebius Elvira, Sovereign Repica's 1/650th Enterprise E and Eurosec Dove. 98 Pages, Includes Articles on Thunderbirds Mole, K7 Space Station, District 9 Dropship,Eagle Transporter Releases. 98 Pages. 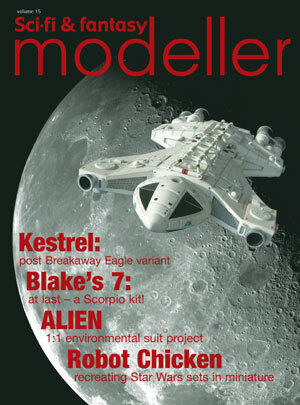 Includes Articles on Space:1999 Eagle variant: the Kestral, Sith Infiltrator Resin kit, ALIEN enviromental suit project. 98 Pages. 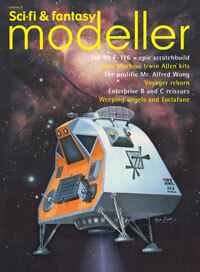 Includes Articles on Joe 90 F-116 Scratch build Plus Irwin Allen kits and creating the creatures from Dr Who. 98 Pages. 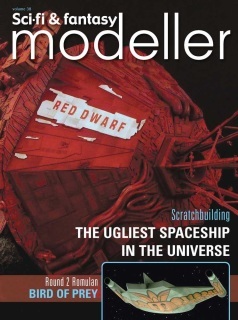 Includes Articles on Blake's 7 Pursuit Ship and Spectrum Hovercraft Scratch build and Memoirs of a 21st Century Modelmaker. 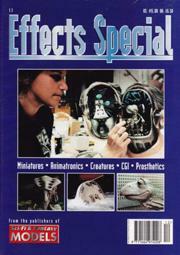 98 Pages (1998 ) Articles include - Miniatures-Animatronics-Creatures-CGI and Prosthetics. 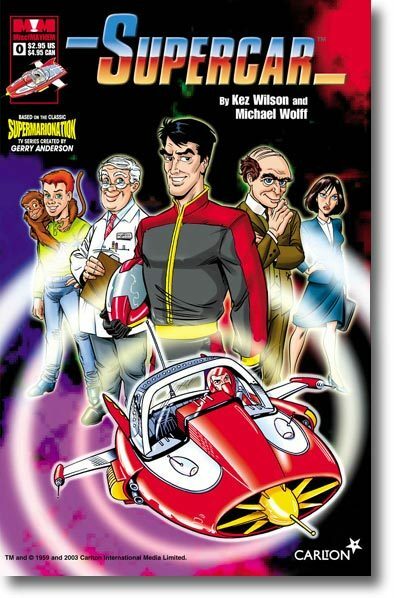 Fully Illustrated in colour.48 pages. 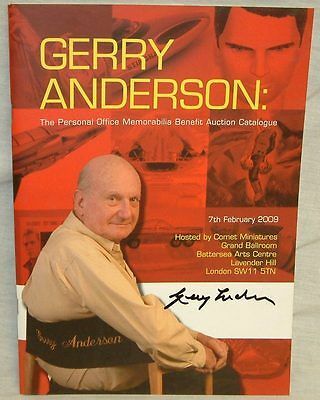 The Personal Office (Pinewood Studios), Memorabilia Benefit Auction Catalogue Held on the 7th Febuary 2009. 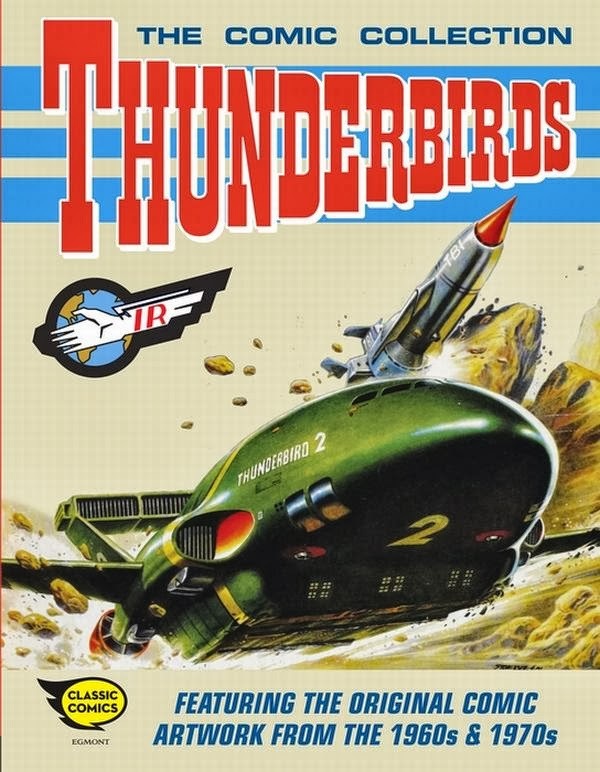 As Above but Personally Signed by Gerry Anderson. Original Signed Copy (Issue 0) by K.S. "Kez Wilson" with Certificate of Authenticity. Number 40 of only 200! 1996. 70 Pages. 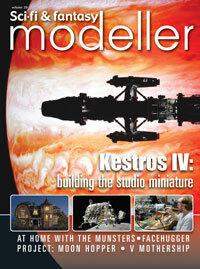 Articles Includes Geometric Design's Vinyl & Resin Empire Professional Sculpting & Painting Techniques. 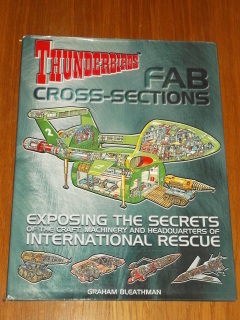 ​Front cover creased but contents complete. 1999. 92 Pages. Articles Include. Artist Profile David Grant, Medieval Models AURORA'S Knights in Armour & Batman Lives, A Figural tribute. 2005. 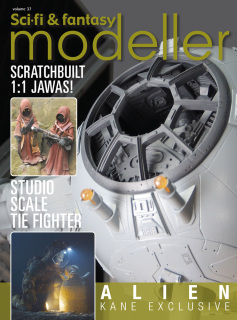 76 Pages, Articles Include, The Night Mistriss, The Doctor is in, A Night to Remember, & Vorflugkontrolle. Featuring original comic artwork from the 1960s and 1970s, this definitive collection from the cult classic TV series comes at the cusp of the show's 50th anniversary this year. 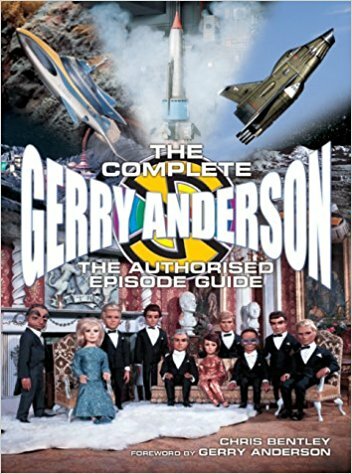 Complete Gerry Anderson Authorized Episode Guide book. 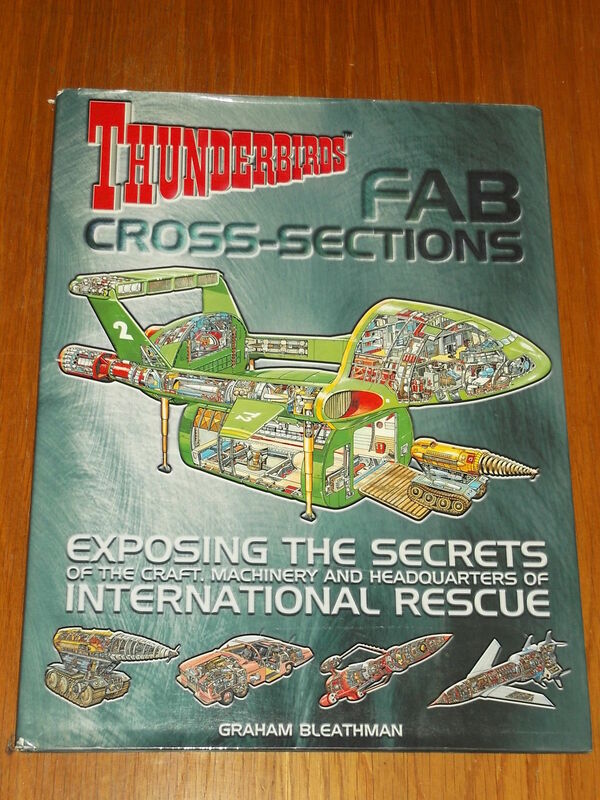 287 pages by Chris Bentley - Published in 2003. A comprehensive guide to all of Gerry Anderson's TV Series & Movies. From the Adventures of Twizzle to Lavender Castle including many photos. PRINTED BY RAVETTE BOOKS IN 1993. 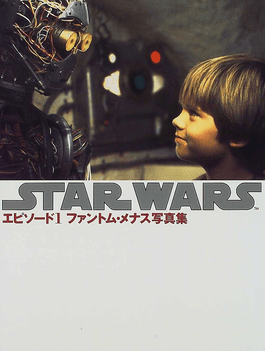 Rare - Japenese soft Cover Version (A3 size). 64 pages. 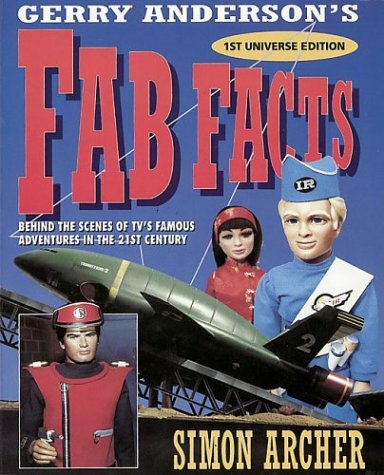 Behind the Scenes of TV's Famous Adventures in the 21ST Century by Simon Archer. 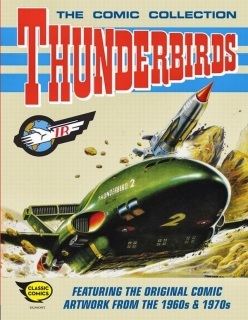 Thunderbirds Entertainment Bible Volume 2. 150 pages (30 Colour). Size 4" x 7". Mint condition complete with dust jacket. 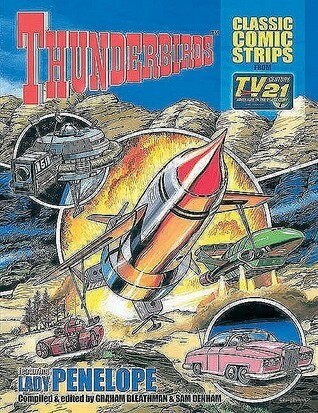 A4 Hardback - A Selection of Classic Comic strips stories from the TV Century 21 Comic. Compiled and Edited by Graham Bleathman and Sam Denham.2001. Rick Polizzi: Published 1996. 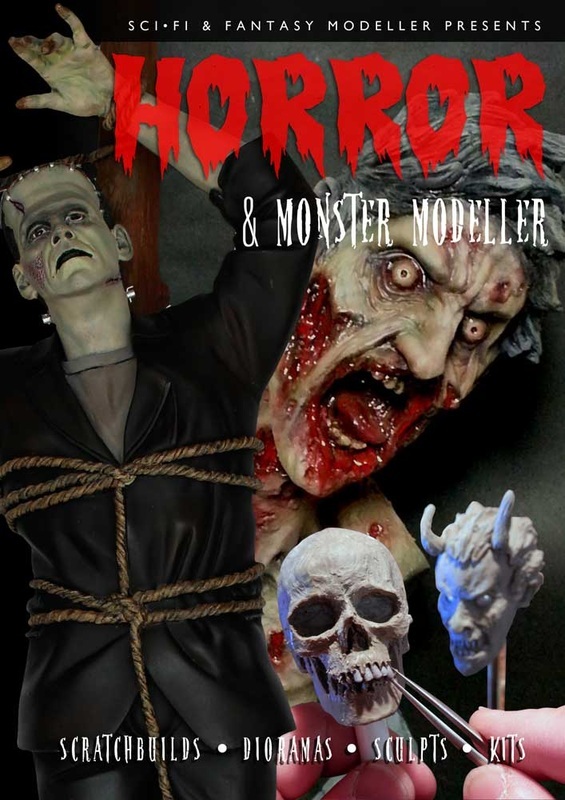 350 pages with over 1000 Full Colour Photo's of Horror, Show Cars and many obscure kits from the 50/60's. 10.5" x 13.5" x 1.75" Hard Cover Book. 128 pages full colour. 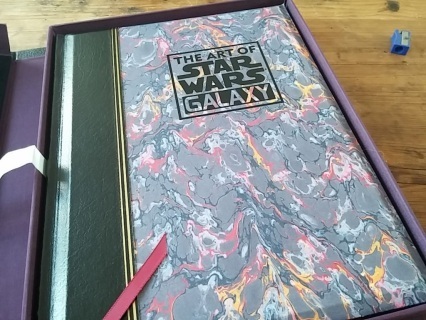 1993 1st edition printed in Canada for Lucas Arts Entertainment Co. and the Topps Co. the book is presented in a Maroon slip case using top quality materials. Signed by 13 of the original artists this copy is No.162 of the 1000 made. Book condition excellent. Slip case very good. New York: Topps Comics (Underwood - Miller), 1993. Signed Limited Edition. Hardcover. Near Fine. 9 1/2 X 12 1/4 Inches. 128 Pages. Original Signed/Limited Edition. #162of 1000 copies signed by MCQUARRIE, Ralph; STERANKO, James; MOEBIUS; DORMAN, Dave; MUTH, Jon; KEOWN, Dale; KIETH, Sam; PRATT, George; QUESADA, Joe; STOUT, William; STEVENS, Dave; KALUTA, Michael Wm. ; SIENKIEWICZ, Bill; VESS, Charles. Obviously, McQuarrie holds a special place in our hearts and his signature resides on it's own limited page to start the book. This production was issued originally as a companion to the card set issued by Topps. 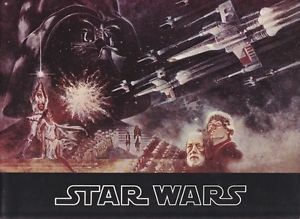 The Star Wars Galaxy card set is credited with helping to reinvigorate interest in a pre-PREQUEL world. 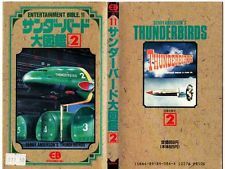 Japenese Publication with English Headings & Japenese Text.